I recently added a couple of new books to the Official Company Publications section of the Japanese Watch Reference Books article. The first was the original Japanese language version of the History of the Japanese Clock and Watch Industry (Vol.3) - Evolution of Seiko 1892-1923. 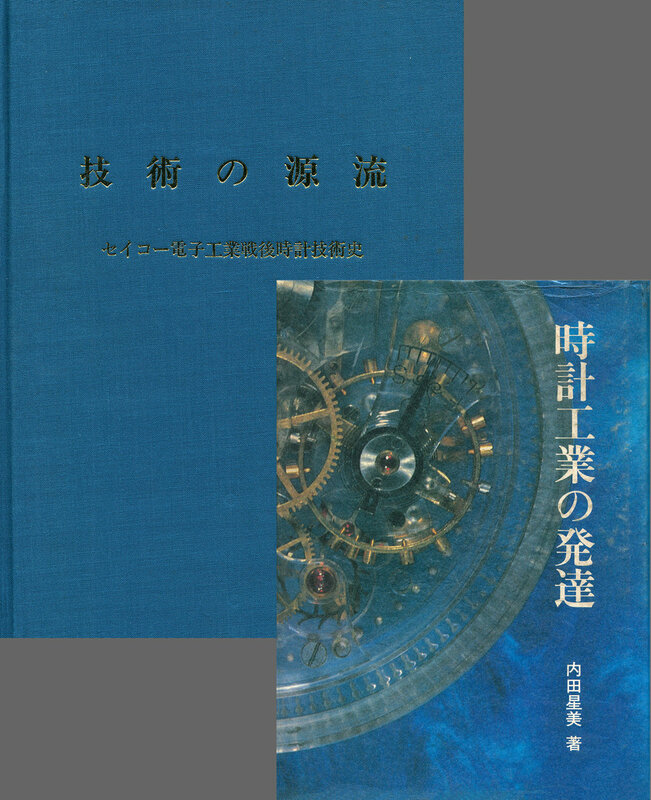 The Japanese version is titled Development of Watch Industry and was published in 1984. Details of this book can be found HERE. The second book I added was a very interesting volume titled Origin of Technology - Seiko Electronic Industry Postwar Watch Technological History. This book was published in 1991 by Seiko Instruments Inc. and contains a large number of official documents from the companies history as well as reports on the different technologies that have been implemented in the watch production process. There is information relating to the advances in machinery and how this has influenced their improvements in accuracy and production capabilities. This is a very interesting book and I have only seen the one volume ever come up for sale. More information can be found HERE. All of the different Official Company Publications I have documented are listed HERE and the general overview of all of the different Japanese Watch Reference books is located HERE.